Plug in your electronics with this contemporary end table. 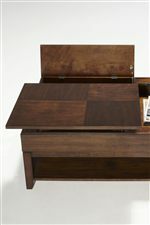 It features a sliding top to extend the surface, plus a lift area in the back conceals electrical power strip. 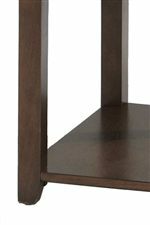 Contemporary in style with a Regal Brown finish over walnut veneers and hardwood solids, this end table also includes an open shelf for displaying accent items and storing frequently used items. The Daytona Contemporary Rectangular End Table with Concealed Power Strip by Progressive Furniture at Zak's Home in the Tri-Cities, Johnson City, Tennessee area. Product availability may vary. Contact us for the most current availability on this product. The natural beauty of walnut veneers adds that extra something to complete the stylish contemporary design of the Dayton occasional table collection. 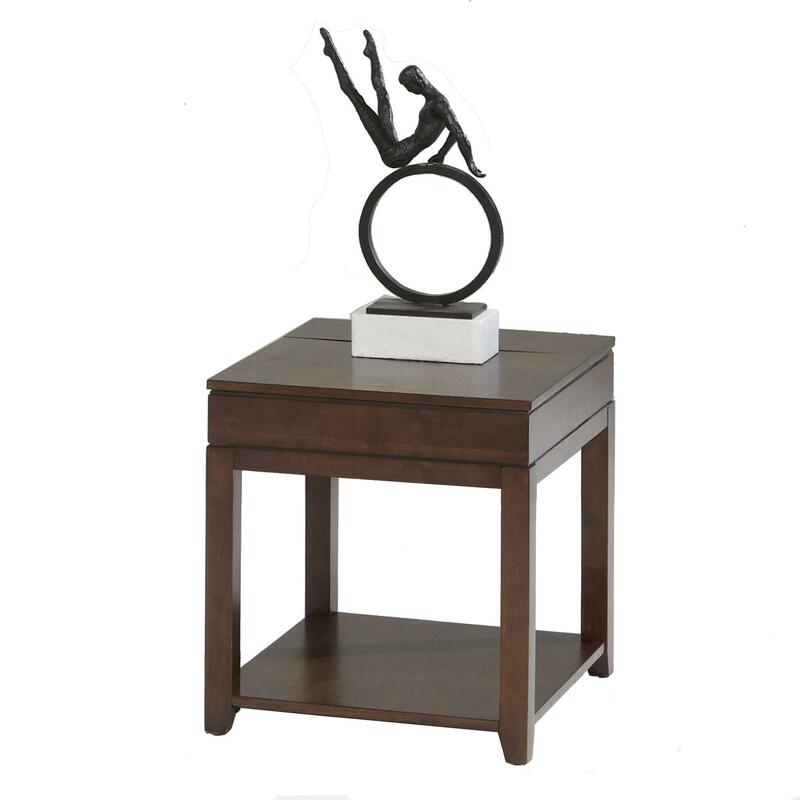 Built for strength with poplar solids and walnut veneers in a Regal Brown finish, the clean lines of the accent tables are enhanced with thoughtful functionality that will enhance your daily life, as well as your living room decor. The Daytona collection is a great option if you are looking for Transitional furniture in the Tri-Cities, Johnson City, Tennessee area. Browse other items in the Daytona collection from Zak's Home in the Tri-Cities, Johnson City, Tennessee area.